The Australian - Vietnam has jailed 32 bloggers under the communist government's tough new censorship rules. A new report by the International Federation of Human Rights, to be published today, shows the bloggers have been secretly jailed for sentences ranging from two to 16 years over the past year. It claims 13 people were jailed early last month for a combined 100 years for criticising the government through their blogs and online commentary. 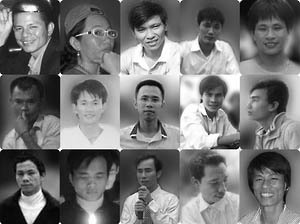 Three prominent Vietnamese journalists – Nguyen Van Hai, Ta Phong Tan and Phan Thanh Hai – were jailed for up to 12 years in September for their role in creating the Club of Free Journalists. One of the journalists’ mother died after setting herself on fire in protest outside the People’s Committee in Bac Lieu. Vietnam has experienced a sharp rise in the number of internet users in the past decade, with an estimated 31 million users now, up from two million in 2000.